This year, CovetED Magazine launches a special edition both in Portuguese and English regarding Portugal. 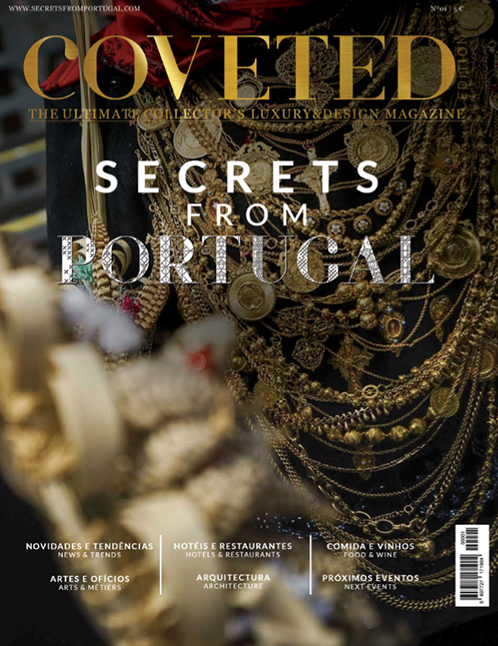 SECRET FROM PORTUGAL is truly an exceptional issue with the mission of providing to the world the best in the world of design, luxury, craftsmanship, restaurants, hotels, gastronomy and the finest places in Portugal. CovetED wants this edition to be a source of pride to every Portuguese person and a luxury guide for those who will visit Portugal.